“S” shows the fuel wood and raw materials services. While these are not the entirety of services offered by forests, we embedded these visual messages within the text to elucidate the life force inherent in the idea of forests . We created an additional series of graphics to support this concept by depicting these services in traditional painting style graphics. In partnership with the innovative conservation advisory firm, IORA Ecological Solutions, Vertiver also co-created the India Forest Portal to bring knowledge of India’s forests into the public domain. 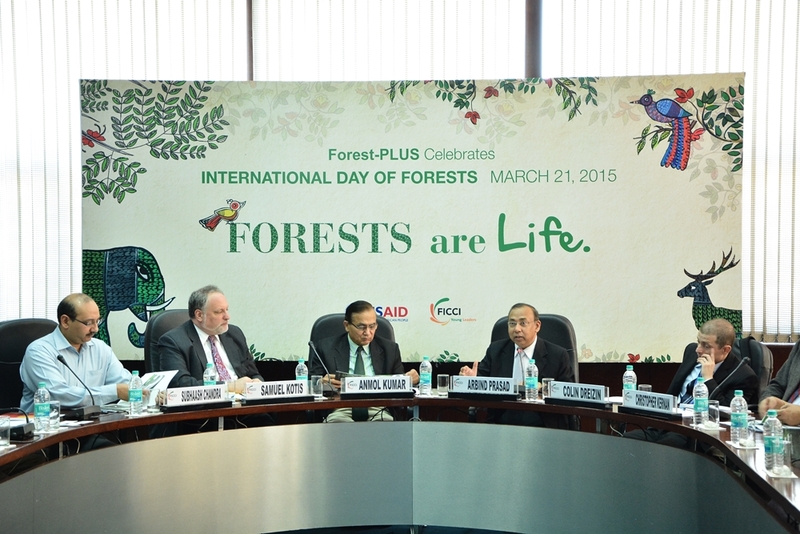 Forests are Life campaign was launched by USAID and FICCI on March 21st in New Delhi with a panel discussion on Corporate Forest Responsibility led by IORA Ecological Solutions.